Sunlight through Palm. Coachella Preserve. 2018. 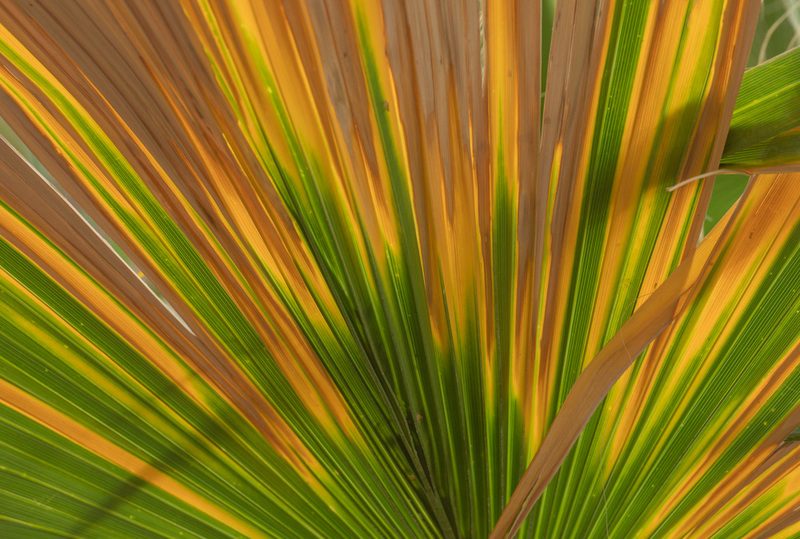 The multi-colored palms were an absolute delight. We're offering a 9.5x14 inch print of the photograph, matted to 20 inch wide board and ready to frame for $195, framed in silver for an additional $100, wood for $250. This print at this price is offered through August 31. We'll be taking orders until then, and shipping them out by September 15.